Last edited by Moses03; February 27th, 2018 at 16:31. Where's the Tchoupitoulas exit???. This ol' Avro is waiting for me in New Orleans. I've got some unofficial factory support from AVRO Virtual. An updated aircraft with a flashier paint scheme. And it's been delivered to the starting point of our next adventure. Ah. The gathering of Commonwealth Trainers of the 1930s. 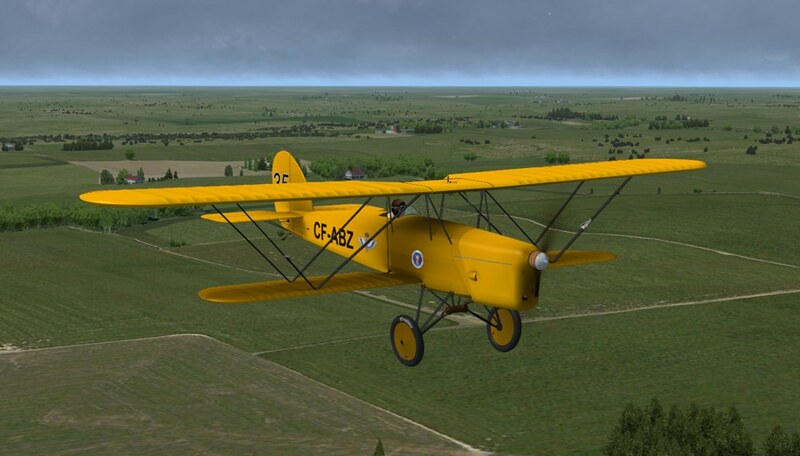 The iconic Tiger Moth. Присоединение к битве с маленьким красным грузовиком. Биплан обычного человека. (Taco didn't make the photo shoot). 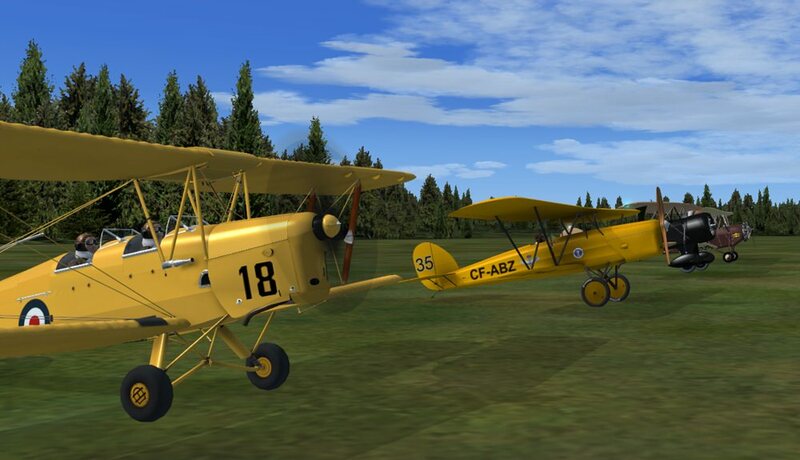 Yep, these old biplanes are a hoot. Our plan is take the route from Stephen Coonts book "Flight of the Cannibal Queen" and add a few more places to it. It should keep us busy for a while. May the best AVRO win! Most men often say what they think! An honest man usually means what he says! A gentleman always says what he means! I don't have any smoke as Willy posted, but at least this time I got into the picture. hehe....The next flight we will be heading to KHLC me think. 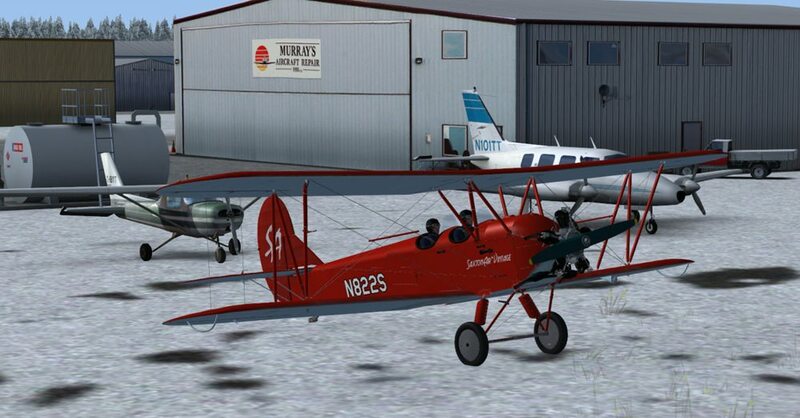 The lease was up on the Po-2 so I got a loaner from Wilbur's Biplane Emporium. What better way to watch the slightly rolling farmland of Kansas pass under your wing? Hi everybody, me here again. Now! this thing about Willy running out of fuel and landing on this here farm, hehe, now this attractive young lady jumps into the front seat, yea you bet. I think it was a put up deal, but makes me mad about the whole thing is that he thought of it first lol, That's the way to go Willy! It was a good flight, but we did have a problem with this poofing thing it seem that most of us was bumped off a few times must have been net storms me guess. Heck we all made it to Hill City as the picture shows, we are all lined up like circus flight 19 here for your enjoyment, hehe See you all later. Well, we all took off from Hill City and headed for 45K Minneapolis, Kansas that is. hehe. At take off time we had a ceiling of 3500 feet and it was clear for awhile and then the bloody fog set in and at 3000 feet it was hard to even see the ground. Boy, this time we couldn't even see a farm or the milk maid to our disappointment, but heck, we will survive. We will be leaving 45K and head towards KFOE Topeka, KS. Sure hope the weather gets better, but with Flight 19 we never count on it. CYA later. Picture, looking back towards the cockpit and behind the tail notice the fog. Find any useful tractor spares while you were at it, Willy? Willy Taco and I on the way south through eastern Kansas. Will have to stop in town to see the first oil well (1892) that started the whole Mid-Continent oil boom. Otherwise it's just pleasant cruising in the spring weather across fields beginning to turn green. Rural Oklahoma. Where the wind comes sweeping down the plane or some such. Here is another picture taken last night at OL20 from the other end of the line of Circus flight 19. Wow! a lot of open space for us pilots, to relax under the wings in the shade drinking a soda, and maybe reading a manual on how to fly a plane, or down in the cove to do a little fishing not thinking of anything before we head on a little longer flight for today. I sure hope this is right heading out from OL20 to KAQR. Maybe, I should look for a book for plotting a new course. No pics, but we made it in to Atoka Oklahoma. I stayed just below 2000ft for the flight and it was a great view. Yep, on which Willy's post mentioned. Dudley and I had 13 to 19 kts headwind using the MS weather, but on approach it slacked up and made a fair landing. I didn't realize that the good old USA had some many towns with kind of weird or maybe I should say strange names. And on this flight we flew over some believe me, but that what make this flight very interesting. Now the picture, hehe could believe with all the rain coming down we were still setting in the cockpits. Hehe Hehe, need to give me self an applause. Now the picture, hehe could believe with all the rain coming down we were still setting in the cockpits. Hehe Hehe, need to give me self an applause. Well, someone has to bail out the cockpits, so you don't drown at 3500' AGL! Great series. Very enjoyable to watch progress.